Home › Community › AASL National Conference & Exhibiton › Can’t Make It to the AASL National Conference? Be a #NOTATAASL Virtual Attendee! 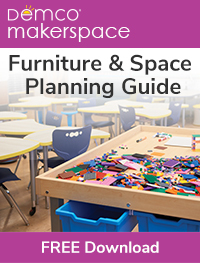 Can’t Make It to the AASL National Conference? Be a #NOTATAASL Virtual Attendee! 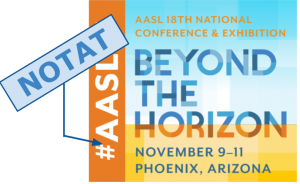 I feel so fortunate to be attending the AASL National Conference in Phoenix, getting to hear great speakers, discover new books and resources, build my personal learning network, further my lifelong learning, and enjoy social activities. I know, though, that many school library people aren’t as fortunate and won’t be able to make it to the conference. Don’t despair! The AASL Social Media team is planning a rich #NOTATAASL experience for you. Post about the conference: Respond to posts with comments and questions, and use the #NOTATAASL hashtag to let people know you are there “virtually.” Also search for this hashtag. You can add it to your OR search. #NOTATAASL LiveBinder: Visit the NOTATAASL LiveBinder website at bit.ly/notataasl, set up for us by Peggy George, which will serve as a “home base” for virtual attendees. 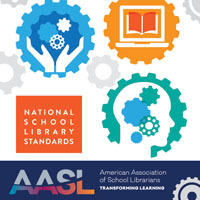 During the conference Peggy and Susie Highley will be curating links to shared presentation resources and blog posts, live streams and recordings from sessions and events, AASL Standards resources, and more. 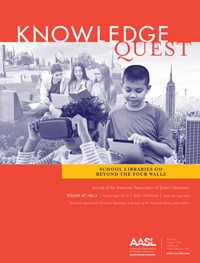 And, it already includes a wealth of information about the conference, including social media feeds, links to follow the conference social media squad members and AASL’s Social Media Superstars, #NOTATAASL challenge information, and more. Google+ Community: Join the Google+ NOTATAASL Community, a gathering place where you can engage in conversations with other virtual attendees. Be sure to introduce yourself to community members so you can get to know each other. Here is a shortcut link to join: bit.ly/notataaslgoogleplus. Get inspiration from Susie’s badge! 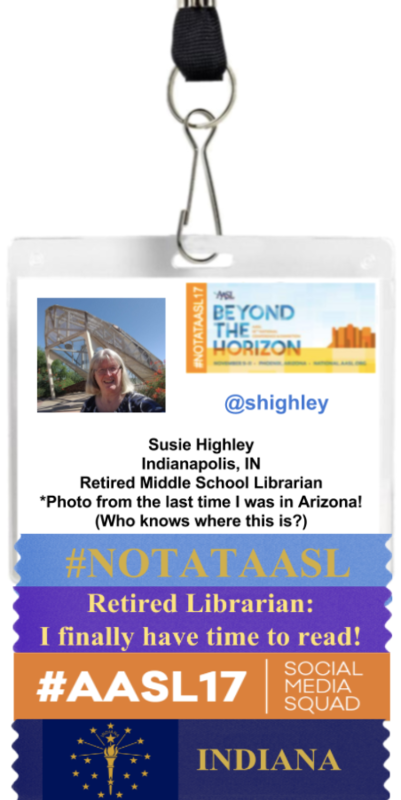 The #NOTATAASL Challenge: Have fun challenging yourself to write posts about the conference, create and share a green screen image, and design and share a fun virtual badge with ribbons. (I included Susie Highley’s badge here for a bit of inspiration.) Win bragging rights if you earn the most points! Here’s a link to the challenge spreadsheet: bit.ly/notataaslchallenge. Each of the entries in the spreadsheet has a point value. For example, you earn 5 points for each Tweet and 30 points for creating a virtual badge. You record your activities in the spreadsheet. All entries will be “on the honor code,” and we will recognize top points earners on social media at the end. Daily Social Media Posting Contests: Each day during the conference, we will be recognizing great posts as winners of our Daily Social Media Post Contest. Read the recent contest KQ blog post for full information about the contest. Your social media posts will be considered for any of the appropriate categories, but there is also a special #NOTATAASL category just for virtual attendees. I do wish that everyone could attend the conference live, but I believe you can get an excellent dose of professional development, networking, and fun as a #NOTATAASL participant. I look forward to seeing you online!